This year I predict a Year of Passion! A Year of Brilliance, A Year of LOVE! Let The Purple Pansy flower boutique in downtown Chatham help make your beautiful wedding day perfect. The experience and creativity from The Purple Pansy flower boutique will help make beautiful memories last forever. Personalizing your flowers is what makes us stand apart; our attention to detail is a focus for every wedding that we create. We can help you with everything from your bouquets, corsages and boutonnieres, church and reception arrangements, cake flowers and the overall finishing touches of your special day. We’ve designed hundreds of weddings that have been based on trust. From simple to elegant, whatever the look you wish for, you can trust The Purple Pansy to design floral arrangements with quality and excellence. 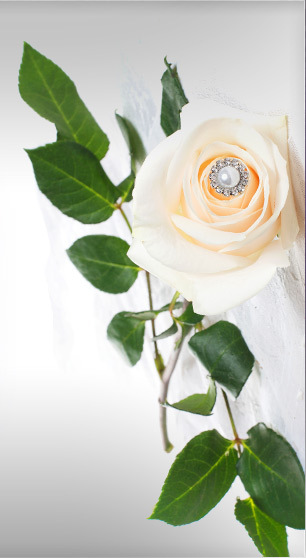 My greatest enjoyment is ensuring that every flower detail of a bride and groom’s wedding is perfect. I invite you to contact me to reserve your free consultation to discuss all the important details of your wedding. Tricia Xavier, Owner The Purple Pansy, Chatham.